Public outreach: Friend or foe? While public engagement often inspires groans in the boardroom, in this diverse age the time has never been better for planners to move towards a more creative, inclusive, and even enjoyable public outreach approach beyond the public meeting. In this post I draw on several years of public outreach to diverse communities across the country to offer ideas ways you may never have thought to engage the public, and tips for doing it most efficiently. The center of Friday night life in many small towns, the local football game may draw entire families and community members with lots of local pride. While people arrive early to buy hot dogs and see friends, it’s a great chance for you to engage groups of people in your neighborhood- or municipality-scale project with interactive games, surveys, and contests. 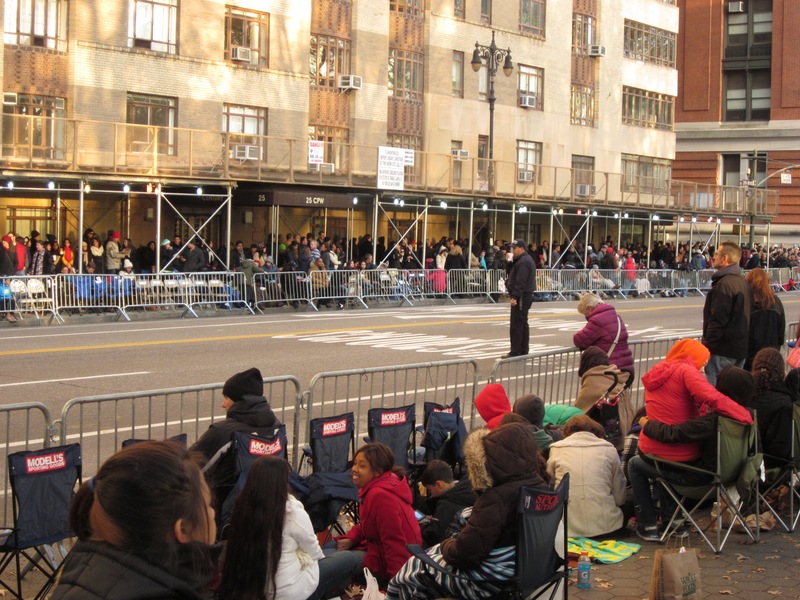 The hours before a parade offer a chance to reach people with time to spare. Photo by Kelly Glenn. Laundromat users may be the quintessential captive audience of people with time to spare. Better yet, customers are likely to be a very local population, ideal for neighborhood-scale projects. Outside of a few major cities, most laundromat users are low-income, and may be hard to reach by traditional outreach methods. Partnering with an ESL teacher is a perfect way to reach new Americans who might otherwise feel that your outreach programs are not for them. Ask the teacher for 15 minutes of class time to make a presentation, administer surveys, or lead a discussion with the class about how they’d like to improve transportation in their communities. Don’t worry if you’re not bilingual — the teacher can help you express yourself at a level appropriate to their class. The students will likely be glad for an invitation to participate in their community, and to practice their English. It may even inspire new immigrants to become lifelong civic participants. This method is perfect for corridor projects, and involves setting up a kiosk in a parking lot or turn-off space alongside a road where a project is planned. By advertising it as a “drive-thru,” drivers know that they can pull over, receive information, and ask questions without even leaving their vehicles if they wish; bicyclists and pedestrians should also have access. The Florida DOT pioneered this concept by setting up in a church parking lot and offering bike lights and helmets as giveaways for an upcoming bicycle project along the corridor. By locating your outreach at the site of the project, you are guaranteed to reach people who use that roadway. Partner with a bar or restaurant to host a meeting there in an area that the community may view as more approachable than a public building. Portland, Oregon’s TriMet hosts Transit on Tap periodically and presents free transit-related presentations at local bars. Kid’s soccer games, farmers’ markets, parades, places of worship, and even Pokéstops are ways to reach specific populations who might want to participate in your project. This could be an article in itself, but there are a wealth of public engagement platforms available to help you build comprehensive, insightful project websites and outreach campaigns. They may offer visitors the chance to share and compare ideas with other users, plot concerns on a map, or take a survey expressing their opinions. Some popular tools include MetroQuest, Community Remarks, and CrowdSpot. One of the most common reasons people say that they don’t participate in community meetings is that they tried once, but they didn’t feel listened to or they didn’t see any changes come as a result. Following up with those who take time to come to your event or share their opinions is essential. Be sure you know how to contact people after the meeting. Within a couple of weeks, summarize for participants what sentiments were expressed at the program and what your agency plans to do about it. If you’re implementing changes, explain what and how long it should take. If you’re going in a different direction, explain why you can’t follow their suggestions and why your alternative choice is necessary. They may still be angry about the outcome, but they will appreciate your transparency. Celebrating the successful launch or completion of a project can be a great way to follow up with the community or to generate excitement about what’s to come. Seattle hosted a large kick-off event when its tunnel boring machine, Bertha, began excavating a tunnel under downtown to replace the Alaskan Way Viaduct. Guests were invited to sign their names onto a piece of concrete that would become part of the tunnel wall. Celebrations can be small or large, depending on the scale of the project, and may feature similar activities as well as speakers or games. Done thoughtfully, public outreach can be a tool for social justice, public support for your project, and ultimately, better planning that reflects the communities it serves. Kelly Glenn is an MCRP student at Rutgers University, and comes with a broad range of public outreach experiences. She tweets about transportation and social justice @kellyglenn_10. Top image: Farmers markets, like the one in Flint, Michigan, are a great place to reach community-minded local residents. Photo by Michigan Municipal League (CC BY-NC-ND 2.0).